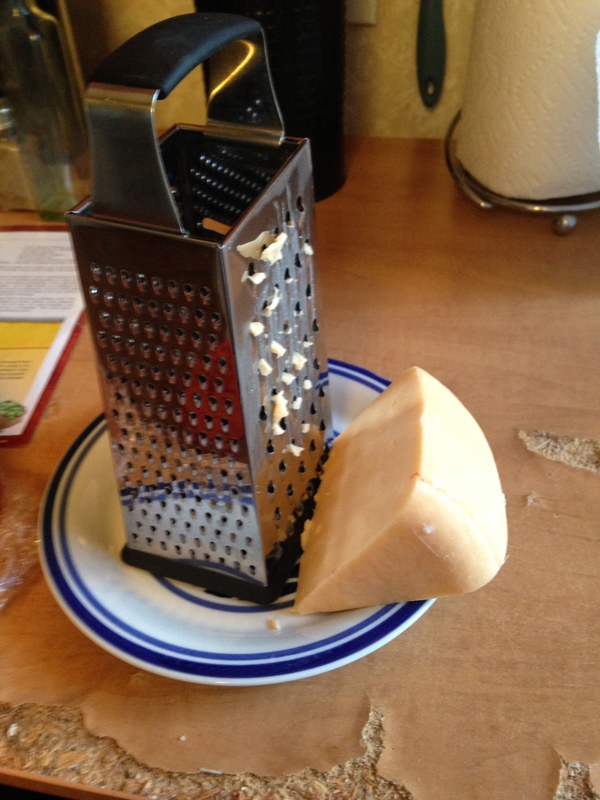 Sunday night, I decided to try a new mac and cheese recipe. This one comes from a friends Beer of the Month Newsletter, but they found it via livelovepasta. I’ve been wanting to try this one for awhile. I did make a few adjustments to the recipe just to save some money. I didn’t add the Romano cheese, Panko bread crumbs, or Parsley. I was able to find all of the ingredients I didn’t have at my local grocery store. For the beer, I choose Bell’s Amber Ale. Bell’s is a Michigan brewery, and it is always really exciting to see how it has grown in NYC. There is my Gouda ready to be shredded. 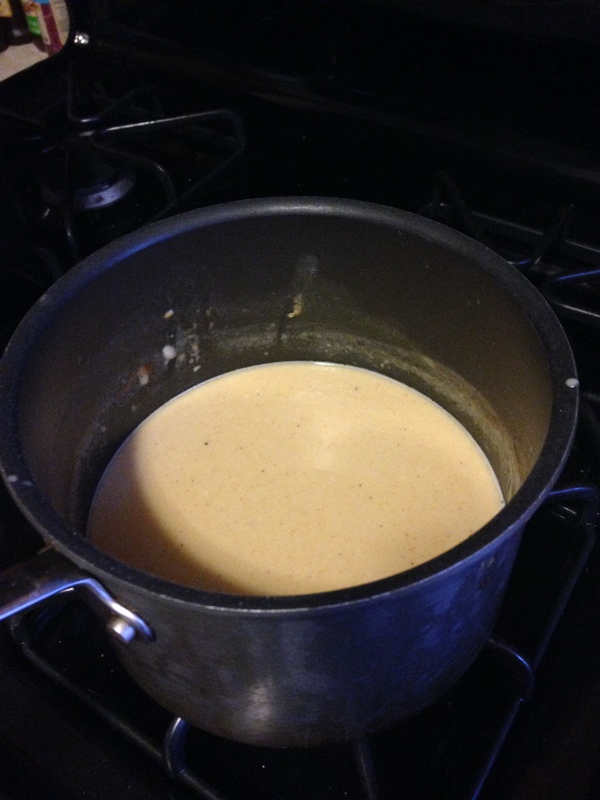 Here is my cheese sauce. It was a bit darker in the pot. This was an incredibly easy cheese sauce to make. The recipe does warn that it won’t thicken like a regular cheese sauce, and it was correct. It is going to bake with the pasta for another 30 minutes (so be sure your pasta is also super a la dente), so it will thicken and adhere and do that mac n cheese sort of thing in the oven. Here is the finished result after 25 min. in the oven! I should have taken a video, this guy was bubbling. So delicious. 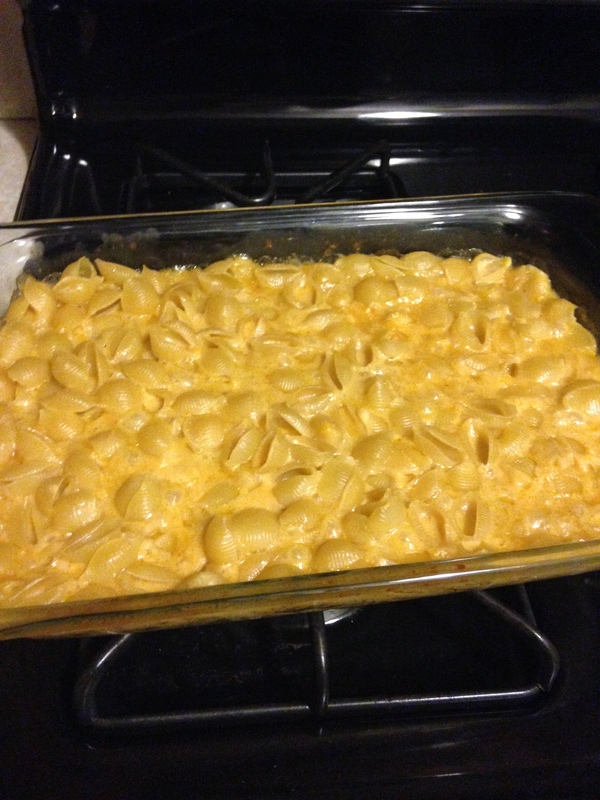 The mac and cheese was the perfect creamy thickness with a smokey edge. It was perfectly fine without the extra garnishes (Panko, Romano, and Parsley), but if I were making this for guests, I would add those. I think this would also be really great with a smokey meat (panchetta or a thick cut bacon) and chives. I also would maybe sprinkle a bit more paprika at the end to taste. 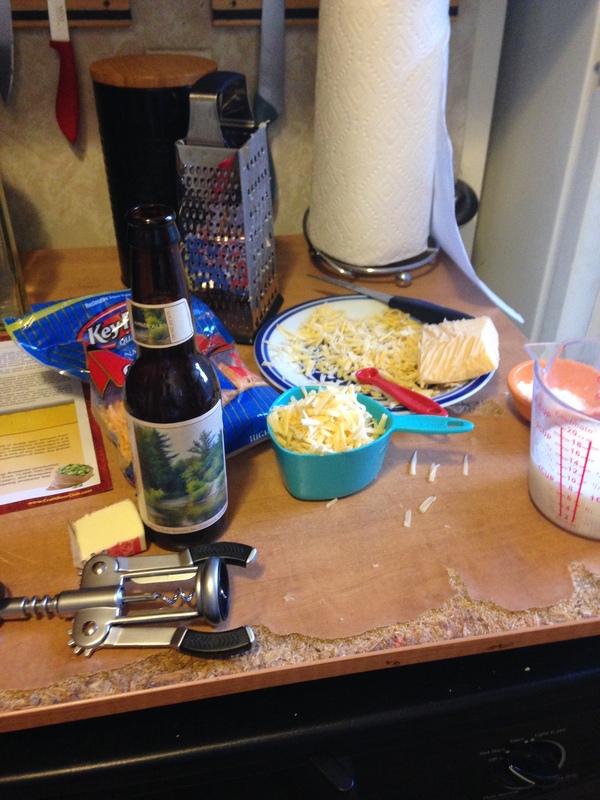 Overall, a great, quick mac and cheese for any beer lover. Previous Post Kentucky Derby Day!